Prime Minister Haider Al-Abadi has received a delegation from Korean company Hanwha, headed by its President and CEO, Choi Kwang-ho. During the meeting, they discussed the progress at the Basmaya housing complex near Baghdad, with the Prime Minister stressing the importance of securing the road link between the residential complex and the center of Baghdad. 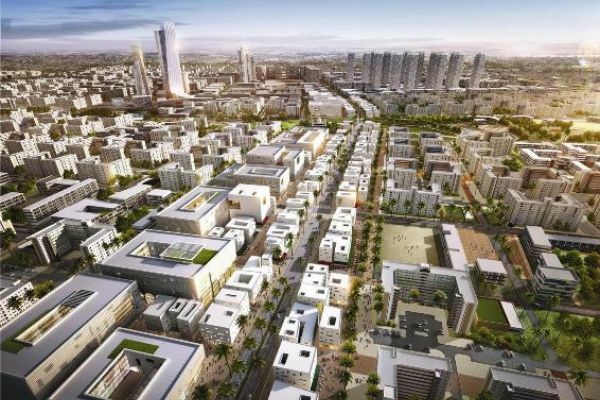 He heard a detailed explanation by company representatives about the completion plan for the coming years, emphasizing the quality of housing units and the necessary services, including maintaining the cleanliness of the environment and spaces within the complex. He also has called for a meeting between the company and Iraqi banks to reach suitable formulas to secure the marketing of the units under appropriate lending conditions. Hanwha is currently building 100,000 homes at the project, which are due for completion by 2019.